Every knitted piece will have at least two ends, or “tails” to weave in at the completion of the project. It is especially nice to weave the ends in invisibly to give your knitting that professional touch. This video demonstrates how to do this on the wrong (purl) side of stockinette knitting. 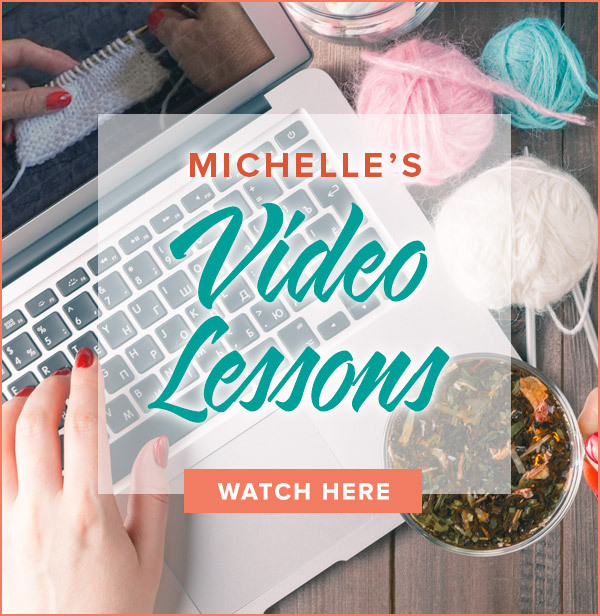 If your knitting is in a different pattern, simply follow along the path of one thread of yarn in the same manner as the video demonstrates. It really is quite simple and worth the few extra minutes it takes to do. Michelle, would you use this technique of weaving in the ends when knitting a sweater in Fair Isle? I love this site and all the tutorials. I can’t imagine learning to knit without this resource. I love the fact that you can watch things over and over until it becomes natural. It is always so easy to follow and see the sample. Thank you so much! 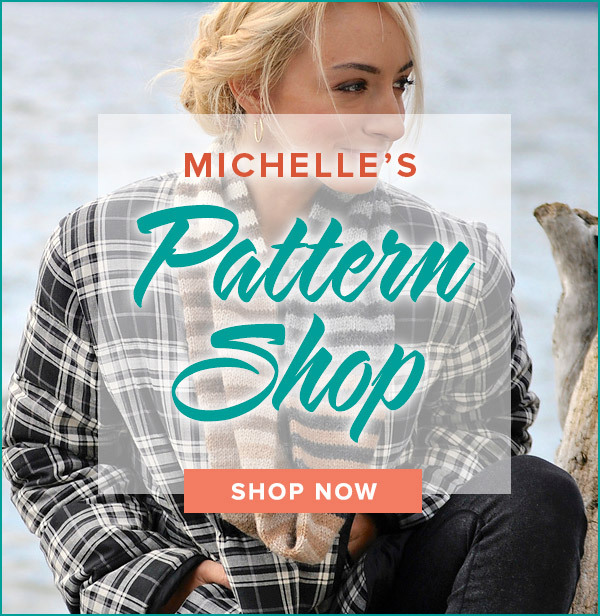 My favorite knitting site without a doubt!! Your videos have greatly improved the quality of my knitting projects! Thank you for all your effort. Happy New Year and happy knitting! Thank you so much for the instructional videos…they are excellent!! I have been making knitted cotton dishcloths and have had a horrible time with ending them and weaving in the ends. Because you wash (and dry) the dishcloths I was ending them by weaving it in a little way and then tying a knot. But I wasn’t pleased with this and I am so glad that I found you on the Internet through YouTube. I’m almost done with one and I am going to try your weaving method to see if it last better than my way. Thanks again and Happy New Year. Thank you so much for your kind words. The biggest reason that I love knitting is that there is always something new to learn. This old dog is learning new trick every day! Happy knitting! almost finished with building blocks afghan it’s so beautiful your videos made all the difference in making it look so perfect. have been knitting 50-60 years but no formal training like this before, my projects from now on will all look so much better, I can see and understand much easier and really enjoyed this project and the stimulation for my brain all those new neuropathways almost make me feel giddy.like to knit socks sweaters and shawls, dog sweaters etc. thank you so much this old dog can learn new tricks. understand I love dogs and cats. I used to hate weaving in my ends, but now I kind of like the quiet finishing. Wow! Thanks, Michelle! I have always hated weaving in my ends! And now I know it’s because I never knew how to do it! This is fantastic and much nicer looking than what I’ve been doing! I have a lot of tails to weave in on Ridgely. Lol. Awesome video! These instructions and video are the clearest, most understandable explanation of weaving in ends I’ve found anywhere. Thank you for so generously sharing your expertise with other knitters. As with purl stitches on the wrong side, follow the path of the yarn mimicking the knit stitches and your tails will be secure and nearly invisible. Thank you for this clear video on how to weave in the ends. I’ve been knitting one year and struggled with the process until now. A clean, professional end. I am already looking forward to the July KAL. I appreciate your work and effort to enable a newcomer to the craft to knit with confidence and have a finished product that is worthy of being worn. Thanks for knitting with me and I hope to see you in July! What a great video! I know having viewed the video will help to finish all my knitting projects with that professional flair. With this last Ridgely KAL I learned some new tricks. I just purchased Building Blocks, and was introduced to your video tips. This is absolutely GREAT!! Thank you so very much!!! Thanks so much. You are my go to person whenever I question myself or am just not sure of how to do something. You are great!!!!!! This has been so helpful! Much easier than the method I have been using. Thanks Michelle! That demo really helps with the weave in’s that I have to do.